Overhead Scene Of Rustic Arabian Breakfast. Various Components Of Arabic Breakfast On An Old Vintage Background Plate. Royalty Free Fotografie A Reklamní Fotografie. Image 70888531. Reklamní fotografie - Overhead scene of rustic arabian breakfast. Various components of arabic breakfast on an old vintage background plate. Overhead scene of rustic arabian breakfast. 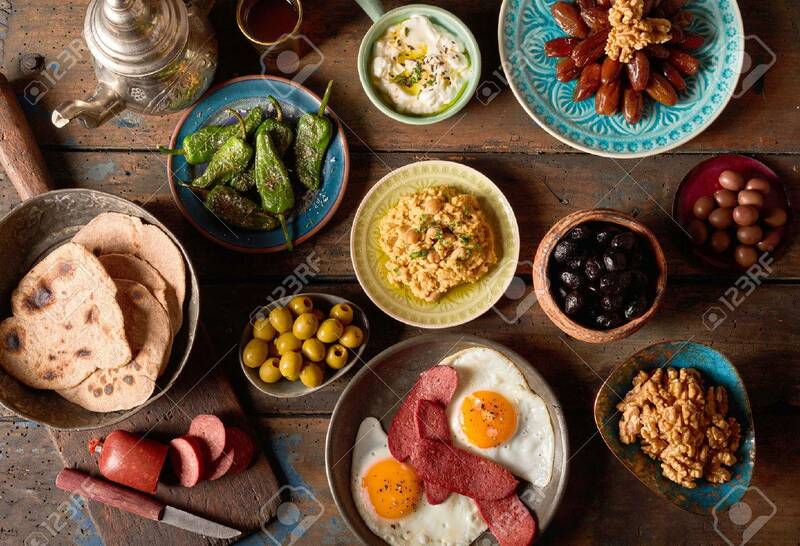 Various components of arabic breakfast on an old vintage background plate.